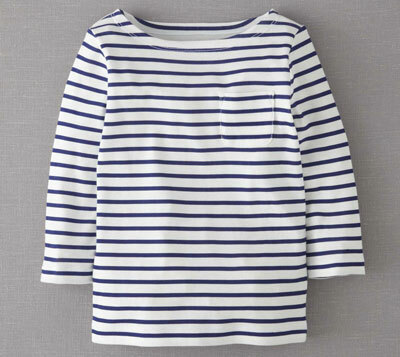 It’s one of those things that works pretty much the whole year round, but with the changeable British weather, this Breton-style Stripy Boat Neck Top at Boden should be just the thing. Not just the one top, this design is offered in a variety of colour combos, including the two pictured here, but also including some much bolder stripes. 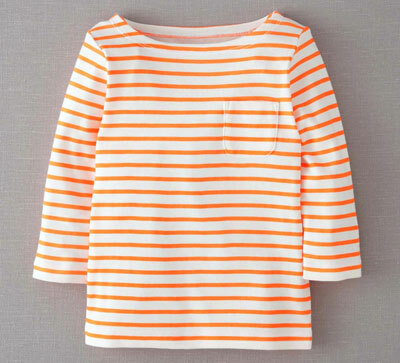 All are the same design though, with the wide boat neck, slightly cropped sleeves and single chest pocket. Sizes run from one year to 12 years, and prices vary between £10 and £12, depending on the size.